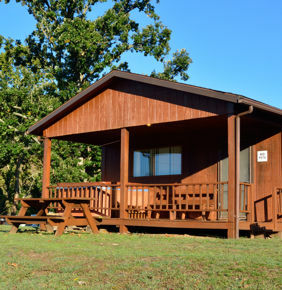 Riverside has many cabins on the bank of the Potomac River. 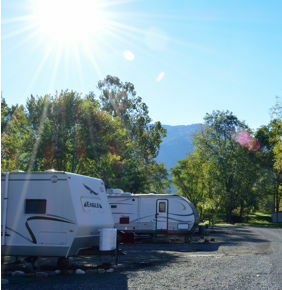 Riverside also offers RV and tent sites at our river location. 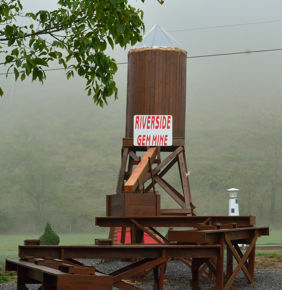 Riverside has an array of outdoor activities to enjoy. 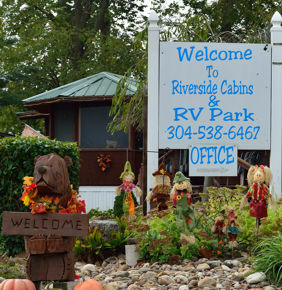 Riverside Cabis is located in the heart of the the Potomac Highlands region of West Virginia. 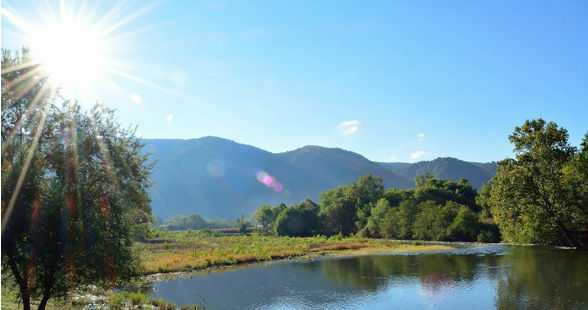 The Potomac Highlands holds the most scenic area within the Appalachian region, where long steel-side mountain parallel with broad flat vallery from dramatic vistas. Riverside Cabins is a rustic mountain resort located along the banks of the beautiful South Branch of the Potomac River. We are located at the "gateway" of the Potomac Highlands of West Virginia. We pride ourselves in being a family oriented, "kid friendly" site since 1984. 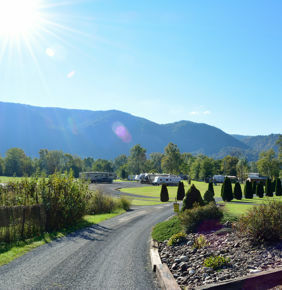 In addition to our cabins we offer Tent and RV sites at our river location. RV sites are fully equipped with public water, sewer and electrical hookups. Tent site are primitive, shower house access. Free Wi-Fi is available. You can enjoy the great outdoors with all the comforts of home. We also have on site shower facilities at our river location. The wildlife and plant life are abundant here. The spring and fall colors present unmatched beauty. Don't forget your camera to take some "breathtaking" pictures. This area is truly a Sportsman's Paradise. 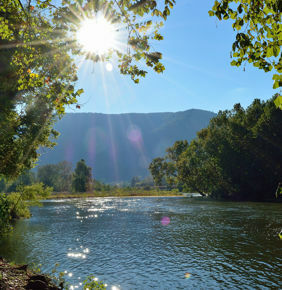 Deer and small game abound and the South Branch of the Potomac is nationally known as one of the best Bass fishing spots anywhere. Enjoy the quiet and seclusion of country living within 15 minutes of downtown Moorefield & 25 Minutes within downtown Petersburg. You will find outstanding restaurants, gas stations, convenience stores, pharmacies, hardware stores, bowling alleys, quaint gift shops, department stores and even computer sales and service. 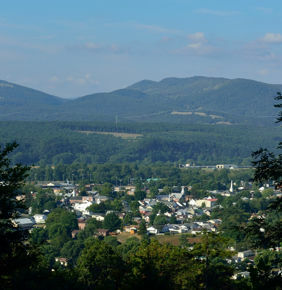 We are within easy driving distance of many local attractions such as Spruce Knob, Seneca Rocks, Dolly Sods, Smoke Hole Caverns, Blackwater Falls, Canaan Valley, Cass Railroad, Harper's Ferry, and the Scenic Trough where eagles nest via the Potomac Eagle Scenic Railroad! Come "see us" today and hope to see the eagles fly in the beautiful Potomac Highlands of West Virginia. Make a memory you and and your family will enjoy for a lifetime. The heart of the Potomac Higlands. West Virginia Wild & Wounderful! Moorefield is a town in Hardy County, West Virginia, USA. Moorefield is the county seat of Hardy County. We offer friendly, expeienced service guaranteed to make you want to come back and visit us year after year to enjoy the splendor of the Potomac Highlands. is family owned and operated by native West Virginians Steve and Joyce Schetrom. We will do everything we can to make your visit enjoyable to make lasting memories. We continue to strive to make this a family oriented, "kid safe" property with "rustic charm" and modern amenities creating the perfect country vacation. When you stay at Riverside Cabins, don't hestiate to meet us and tell us what you enjoy about your stay and what might make your vacation one of perfection!